In its own words Glyph* is “a visual exploration of punctuation marks and other typographic symbols.” As soon as I found out about this beauty, I ordered it immediately on rush delivery. Ever since doing research into language and symbols/emoji for This and That, I am always eager to learn more about symbols and their history. Not to mention, I'm a bit of a stickler when it comes to the usage of en dashes, and em dashes. 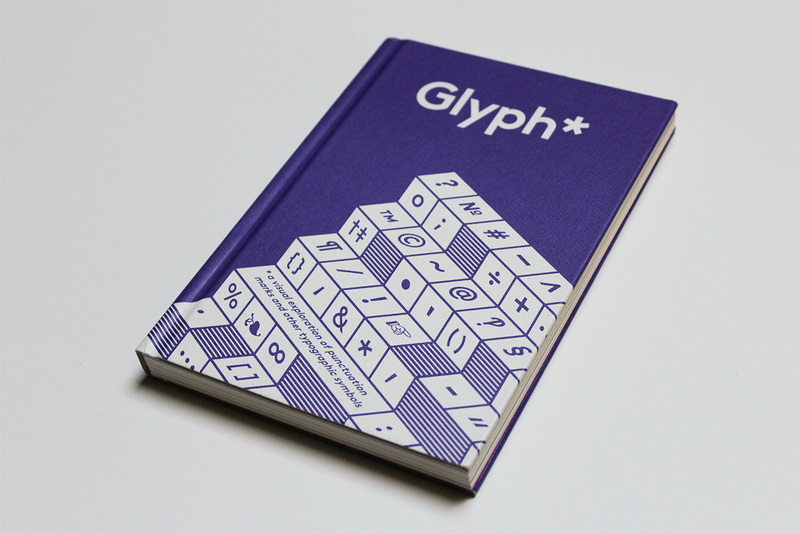 Glyph* dives into the history and usage of a wide array of glyph markings such as the dagger, the emdash, and the long forgotten interrobang. And if your not a glyph geek like myself, don’t worry. The book is filled with the most interesting and aesthetic variations of the glyphs, and is filled with fantastic color and pattern throughout. It also smells pretty great when bought new.